Nayara Hotel Named "Most Romantic Hotel in Central & South America"
TripAdvisor, the world's largest travel site, has named Nayara Hotel, Spa & Gardens in Costa Rica the "Most Romantic Hotel in Central & South America," as well as among the "Top 5 Most Romantic Hotels in the World" after tallying nearly 20 million online reviews by actual guests to determine the "2011 Travelers' Choice Awards." In an industry flush with "Best Of" lists and awards doled out by everybody from magazines to trade organizations and advertisers, TripAdvisor's "2011 Travelers' Choice" awards are the most authentic measuring stick for true excellence as they are based on feedback from the every day guests hotels around the world work hard to satisfy each and every day. "This is an incredible honor as it is decided by our most important and discerning critics - our guests," commented Nayara's General Manager Freddy Obando. He added, "These designations further validate the hard work our staff puts in day in and day out to create a special experience for all of our guests; one that is of course enhanced by our breathtaking surroundings." With nearly 700 hotels recognized across nine categories including Best Bargains, Best Luxury, Best for Romance, Best B&Bs and Inns, Best Relaxation and Spa, Trendiest, Best All-Inclusive, and Best Hotels in the U.S. and the World, Nayara has risen to the top for all of the qualities they consider to be of the utmost importance. Karen Drake, senior director of communications for TripAdvisor explains, "Based on reviews from millions of travelers around the globe, TripAdvisor is able to recognize the world's most outstanding hotels for the ninth year of the Travelers' Choice Awards." She continues, "Outstanding service, great value and top quality are hallmarks of our Travelers' Choice winners." 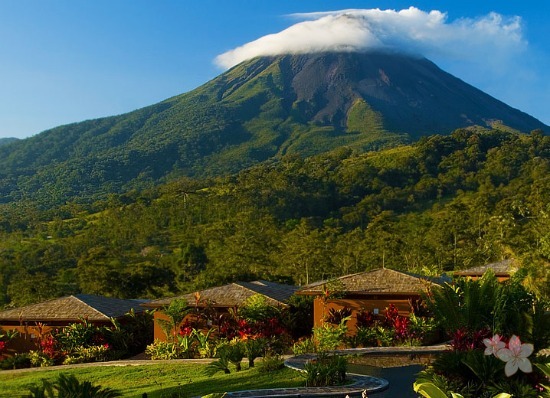 Spread across 15 acres of lush tropical gardens set against the incredible backdrop of the Costa Rican Rainforest and the imposing active Arenal Volcano, Nayara exudes romance. The love-inducing environs are enhanced by 44 oversized 'Casitas' all complete with large living areas, private outdoor showers and personal jacuzzi's on each outdoor terrace offering a clear view of the volcano. Further contributing to the property's romantic allure are the new open-air SPA, Wine Bar and private "Romantic Dinners" offered in hidden locations around the property. Located in the heart of the Costa Rican Rainforest just minutes from the Arenal Volcano and the town of La Fortuna, Nayara is easily reachable within a couple hours drive from either San Jose or Liberia. Rates for the romantic retreat start at $199 per night. For reservations or further information, gusts can visit our website or call toll-free (866) 311-1197.